For this category, we have carefully selected locality, raw materials and quantity. The wine is made from the original vines of the Koshu grape. These vines are 130-years old and the only ones in Japan. 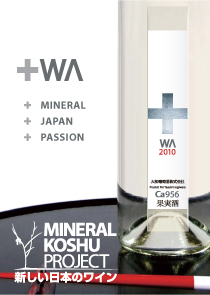 This Koshu grape is a gem and is very carefully brewed and matured in casks. Kakine Koshu is produced using hedge growth, since 1997. Understanding its characteristics, we maintain the required quantity and quality by employing additional processes. Uhachi is a Shiraz grape, the seeds of which are grown in Yamanashi. Shiraz has a condensed mellow taste with spiciness.Uhachi is the name of Hagihara's founder. It was originally the name of a store which sold wholesale oil. This wine is created from only Petit Verdot grapes. It is rich and thick in color and has a solid taste. Yasutaro is the name of our 13th owner. This wine is produced from Pinot Noir grapes. Enjoy the taste of elegance. Keitaro is the name of our 14th owner. This mature and remarkable wine is produced from Merlot grapes from Nagano Pref. An aristocratic wine, it is blended with aroma and a maturity of grape which makes it even more special. 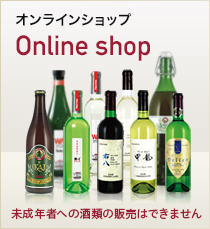 In the history of Japanese viticulture, we challenge with a contemporary point of view and produce wine. This dry, white wine is produced from grapes from 130-year-old Koryu and Koshu vines. A full-body, refreshing dry taste with acid. Suitable with fish dishes. A medium, dry white wine produced from a Koshu grape breed. Enjoy its refreshing aroma and sweetness. Produced from Osaka Murasaki grapes - a very old breed of grape found in Osaka, Japan. Produced using the Élevage sur lies method, it is a dry, sparkling wine with refreshing sourness. With the effective penetration of amino acid, it has body with grapefruit fragrancy. The dry, sparkling wine is created from grapes from 130-year-old Koryu and Koshu vines. A full-body, dry wine with refreshing taste with acid. Suitable with fish dishes. Created from Chardonnay grapes from Nagano Pref. in wooden casks. A wonderful balance with a rich, fruity taste of mature woody, Chardonnay. Full-body, sparkling wine with residual taste. A full-body wine with the touch of tenderness of Nagano Merlot. We use only Merlot vines from the Jyunihara district in Matsumoto, Nagano Pref. Red wine produced from Berry A. It has a very rich and fruity aroma with a sophisticated taste and sweetness. Produced with the goal to improve quality. Produced from Koshu vines grown in vineyards rich in minerals. Using the Élevage sur lies method, the wine is matured and combined with amino acid and peptide. Tsugai means pair, such as nature and human's wisdom; grape growers and winemakers, and so on. Both are important and necessary. White wine made from only Koshu vines. It has very good balance with an aroma of oak cask and the just right degree of sourness. Chojo means happiness lying on top of happiness. Enjoy the wine with happy feelings. This white wine is a blend of Koshu grapes and Chardonnay formed in casks. It has good balance, with the fruitiness of Chardonnay and the aroma of wooden cask. Omomuki means it has taste, elegance and thoughtfulness. It is therefore, heartfully tasteful. 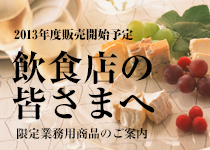 This white wine is produced from specially selected Katsunuma Koshu grapes containing rich minerals. The grapes are grown on the vineyard using burnt shell fish, producing 22 times the calcium content, which is usual 40ppm. Enjoy this complex, layered taste. Aged in casks, this wine has good balance, with the aroma of oak and just the right degree of sourness. Chojo means happiness lying on top of happiness. Enjoy the wine with happy feelings. A sparkling wine with freshness, sourness and the aroma of wooden cask. Ryugan is the oldest grape vine in Japan. Created from grapes with minerals and producing a rich aroma of Berry A and fruit. The result is a complicated taste of red wine and minerals. Copyright © HUGGY WINE Co.,Ltd. All Rights Reserved.